Did you guys know that printed books should always be odd-numbered on the right page? Or that text should be right and left justified? Or, for a matter of fact, that when you shorten the front of a word with an apostrophe (ex. ‘leave ’em alone’) that the apostrophe must face the same way as one that shortens the end of a word (ex. ‘doin’ what comes naturally’). 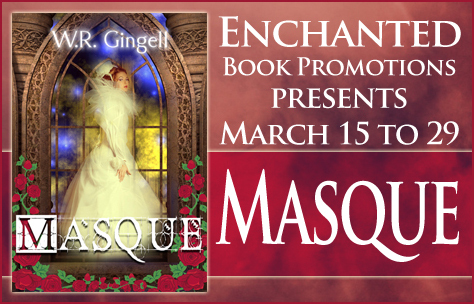 Also on today’s housekeeping: both Masque and A Time-Traveller’s Best Friend: Volume One are on a Goodreads giveaway at the moment, until about mid-April. I’ve got three signed copies of each to give away, so if you’re interested, click through the link on either above, and enter to win. A handy little feature of Goodreads that I found out about just a few days ago, and that I’m very happy to make use of! 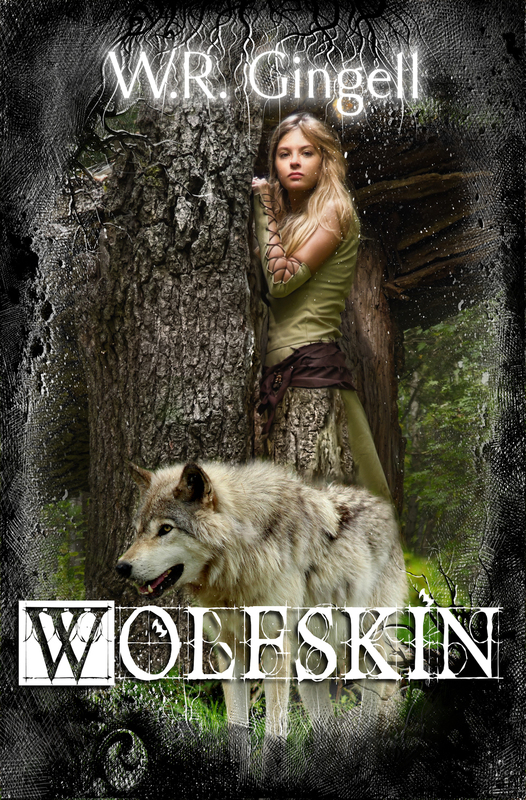 And as I announced on my Facebook and Twitter pages, Wolfskin is at present being sent out to bloggers and reviewers. 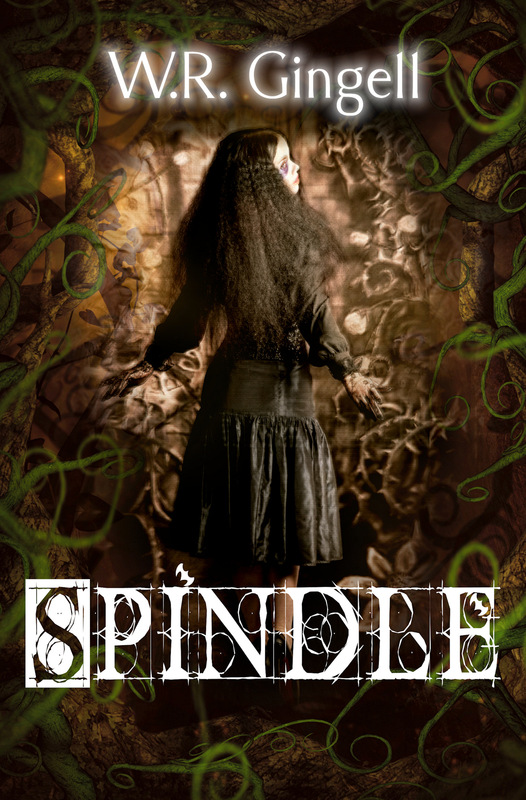 If you’re interested in getting a free copy (either ecopy or paperback) for the purposes of a review, contact me at gingellwrites [AT] gmail.com, through the comment section, or from the form on my Contact page. Fourthly and lastly, I’ve been bingewatching On The Up with the wonderful Dennis Waterman, delightful Sam Kelly, inimitable Joan Sims, and pot-stirring Jenna Russell. SO MUCH FUN. So many glorious one-liners. And I’m completely in love with the ending. Well, that and the equally wonderful live-action version of Black Butler. I’ve watched it three times now. It’s become one of my all-time favourites along with Alice (mini-series version with Andrew-Lee Potts), The Fall (Lee Pace), and City of the Lost Children (Ron Perlman). Seriously. Watch any of these. It’s completely wrong. Your brain is lying to you because it knows just how much work there is still to go. In comparison to what you’ve still got to do, writing the MS was the easiest thing in the world. I’m talking about edits. 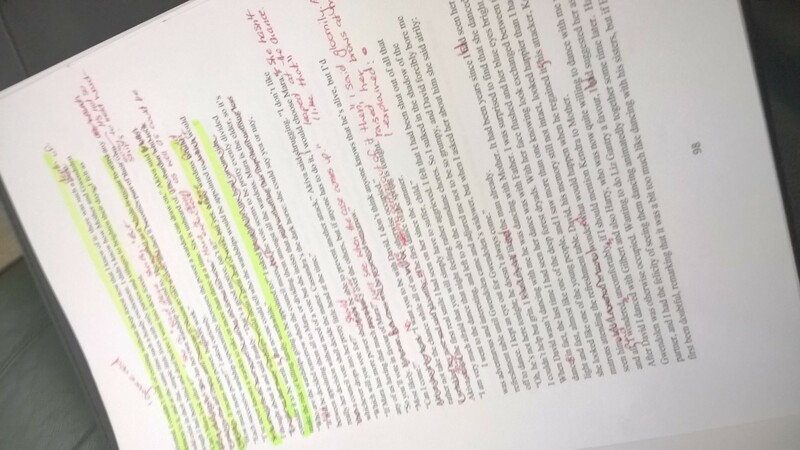 First edits, second edits, third edits- heck, anywhere from first to fiftieth edits. You painstakingly go over the MS from top to bottom, start to finish; hunting down every wrong word, misplaced comma, unnecessary adverb, missing preposition, and incorrect spelling. You sit back, exhausted from your Herculean efforts, and reward yourself with a cup of earl grey tea and as many biscuits (cookies, for the Americans out there) that you can scoff. Congrats! You’re done. Except you’re not. There’s still Last Edits to go. (Why, yes, those are the Capital Letters Of Doom). 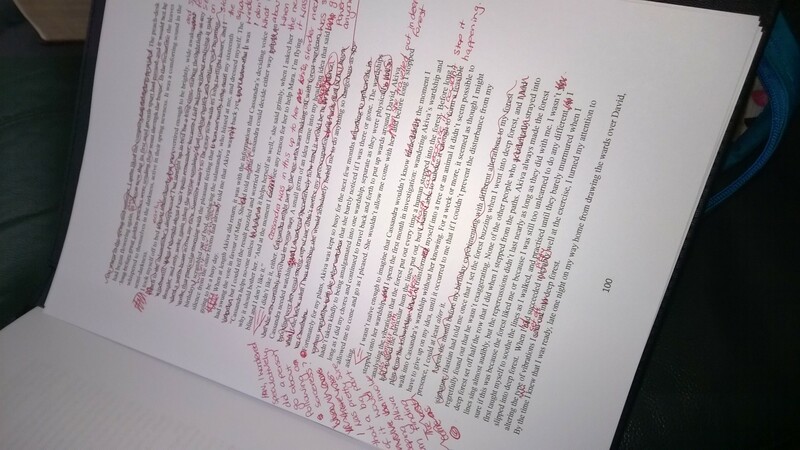 Let me show you what Last Edits look like. Admittedly, these are the most extreme of my Last Edit pages. Some of the pages have no red pen at all, just glorious black and white. Some have a scribbled-out word or two, with notes to remind me about continuity for one thing or another. 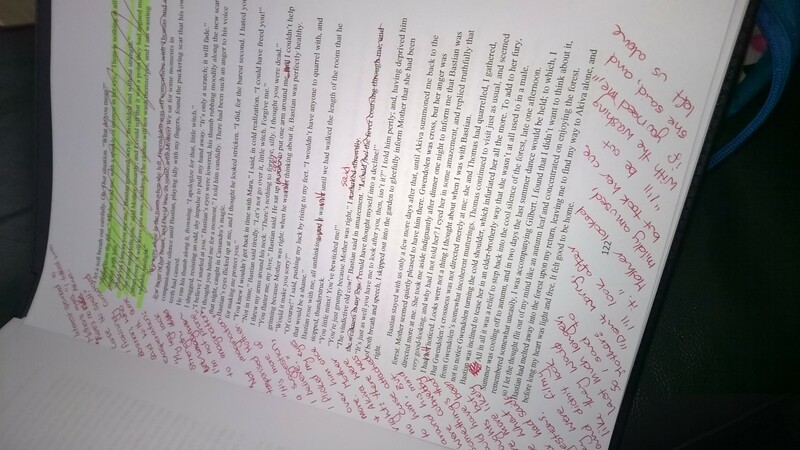 I usually leave a MS for at least a few months after edits before I begin Last Edits. It makes me more inclined to notice things I wouldn’t necessarily have noticed otherwise, and if I’ve been working on another MS, it’s the closest thing to a fresh look that’s possible. Last Edits are a chance to get an overview of the whole MS: what the pacing is doing, how the register is behaving as a whole, and if the continuity of well, everything, is smooth and painless. The problem is, when you sit down to do Last Edits, you can’t turn the line editor off, either. (Well, I can’t. Bully for you if you can.) 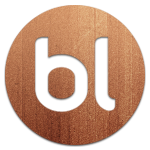 So I end up doing little bits of line edit as I go. It’s excruciatingly painstaking. And it’s worth every minute. (I can say this because I have less than 30 pages to go on my Last Edits of Wolfskin. When I was halfway through all you’d get from me were growls and snarls.) You may have to replenish your red pen supply by the time you’re finished, though. Congrats! Your Last Edits are done! 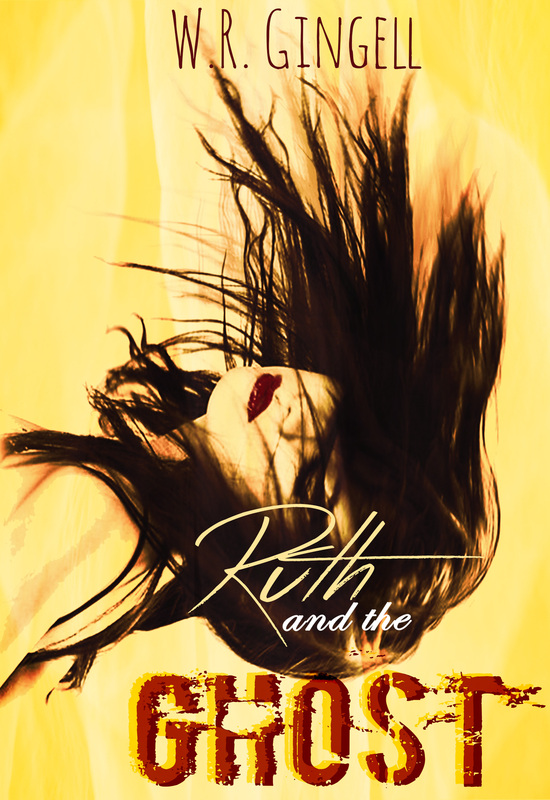 Oh, did I mention the proof copy that’s going to arrive in the mail any day now? Yeah, you’re gonna find a lot more missing words in that one, too.